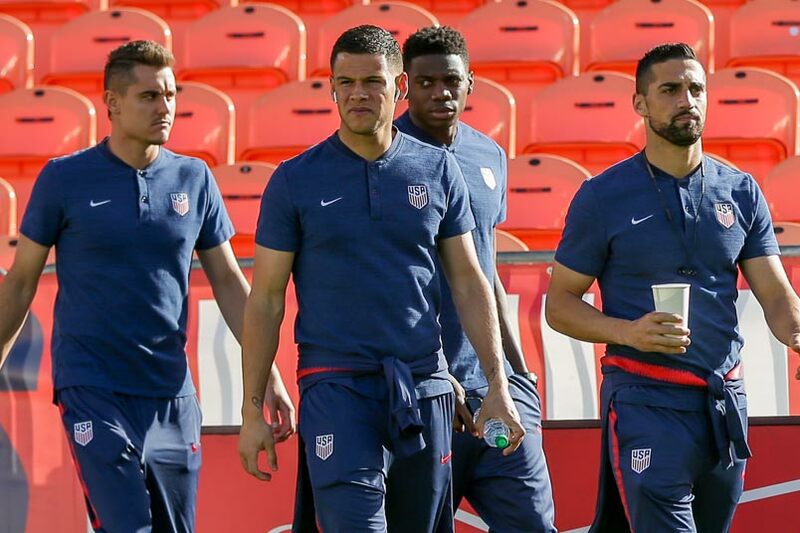 By Charles Boehm – WASHINGTON, DC (Apr 12, 2019) US Soccer Players - A bigger, more ambitious tournament, at least one new opponent, and a bevy of highly familiar ones await the USMNT this summer as they defend their Gold Cup title. This year’s remodeled event is 33% larger and takes place across three countries instead of just one. Costa Rica and Jamaica will each host a group-stage doubleheader, the first time action will take place outside the United States, Mexico, or Canada. It will also feature several notable rules changes, including the restoration of extra time in tied knockout matches, the demise of the third-place game, and an end to the previous policy allowing roster changes after the group stage. With Concacafrevealing the makeup of the four first-stage groups and eventual knockout bracket placements in Los Angeles on Wednesday, Gregg Berhalter and his staff now know they will face debutants Guyana and old adversaries Trinidad and Tobago and Panama in Group D.
The main challenger, however, remains Mexico. In keeping with Gold Cup tradition, the confederation has made sure that the region’s marquis matchup will not take place unless and until both sides reach the final, set for July 7 at Chicago’s Soldier Field. They are able to ensure this by not holding a transparent and/or random draw process. So maybe the more things change in CONCACAF, the more they stay the same. That said, from an overarching view, the governing body appears to have pulled off an admirable gambit here. The decision to enlarge its signature tourney from 12 to 16 participating teams drew comparisons to FIFA’s widely-panned World Cup expansion. Yet the North American case might well turn out to be a win-win. The USMNT’s road to another trophy does not change: Positive results across three group-stage matches will earn a berth in an eight-team knockout bracket and the same three victories to become champions. The region’s smaller nations now have greater opportunity to book a ticket to the big dance via the use of the new Concacaf Nations League as a qualifying vehicle. That stands to enhance the value of both competitions. Consider this alongside the old question of how the US, Mexico, and in some ways Costa Rica improve themselves enough to compete with the world elite. The usual answer is that either Concacaf’s overall level of play has to improve or its giants must find a back-door route to additional competitive games against one another, or top opposition from outside. The Concacaf Nations League and a bigger Gold Cup could provide avenues towards the first scenario that doesn’t cost the giants much. Moving from 12 to 16 teams could enhance the challenge for the favorites. In the new format, 3rd-place finishers no longer advance to the quarterfinals. So in theory the US and Mexico could or should face stronger opponents in the first round of the elimination phase. For example, if results unfold along the general conventional wisdom and the USMNT win their group, they would likely meet either Jamaica or Honduras in the quarters. A win there and it’s a semifinal against either the other Group C survivor or the 2nd-place team in Group D, expected to be Panama or T&T, with Mexico or Costa Rica the likely final opponent after that. That’s a lineup of testing and potentially even tricky opponents even if the USMNT is the favorite. That looks like a good task for the first competitive event of Berhalter’s tenure. Which brings us to the specifics of the USMNT’s approach to this summer’s showcase. Speaking to ESPN FC in a video interview released on Wednesday, Berhalter didn’t shy away from the usual expectations for the Gold Cup. He also called his team’s Group D assignment a “challenging” and “difficult” group. While the US will remain strong favorites to finish first, he does have a point in that both T&T and Panama have some history in terms of troubling the USMNT. The fateful October 2017 World Cup qualifying chapter in Couva, Trinidad is extremely well-known by now. Thanks to their 2011 upset in Tampa, Florida, Panama remains the only team ever to have defeated the USMNT in Gold Cup group play. Even Guyana, one of this year’s Cinderellas, pose some difficulty in sheer preparation terms as a relative unknown. It adds up to a manageable, though not exactly “easy” assignment. As for the literal path to the final, the US should benefit from a schedule that takes them to three Midwestern venues offering strongly supportive crowds: The beautiful new Allianz Field in Minnesota, an NFL stadium in Cleveland, and Kansas City’s familiar Children's Mercy Park. Should they advance, they would travel to Philadelphia, Nashville, then Chicago for the knockout stages. This Gold Cup arrives at a timely moment in Berhalter’s process, a chance to put his budding structures and philosophies into practice in the compressed environment of a tournament. A cup-final meeting with former Atlanta United coach Tata Martino, now in charge of Mexico, would be a fitting test to cap it all.